We've explored many misconceptions about felines in the first 3 sections of this article series: "Feline Myths and Misconceptions Part One," "Feline Myths and Misconceptions Part Two," and "Feline Myths and Misconceptions Part Three." This is the fourth and final section. The average lifespan for an outdoor cat is 1 to 5 years. The average lifespan for an indoor cat is 12 to 15 years. Enough said. Recent studies indicate that pediatric spay and neuter is not only safe, but it is actually safer than procedures done later. The young cat shows less tissue trauma, recovers more quickly with fewer complications, and seems much less stressed by the procedure. Waiting until a cat is 6 months old to neuter is a risky proposition because cats are able to reproduce by that age, and the unwanted pet population is enormous. 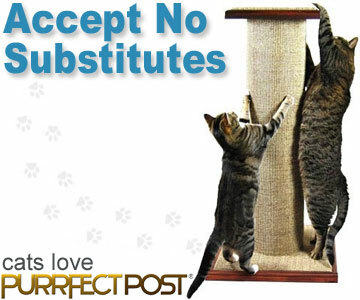 Learn more: "Early Neutering for Cats." Spraying is a form of communication between cats, most often used as a marker of territory. Intact male cats are more likely to spray than neutered ones, but not all male cats will spray. Female cats may also spray, but they are less likely than males to do so. Find more information here: "Cat Spraying: Feline Marking Behavior." The vast majority of cats do not like water. Some cats do have a fondness for water and one breed, the Turkish Van, actually enjoys swimming. There are many thoughts on why cats will eat grass, but so far, there are no proven answers. Recent research has come up with a rather interesting probability; animals may simply enjoy eating grass. You can learn more here: "Why Do Cats Eat Grass?."